What Kind Of Substance Abuse Resources Are Available On Military Bases? This entry was posted in Recovery & Support, Substance Abuse and tagged Alcohol Abuse and Addiction, Managing Symptoms, Professional Help, Treatment on July 19, 2016 by Baxter Ekern. 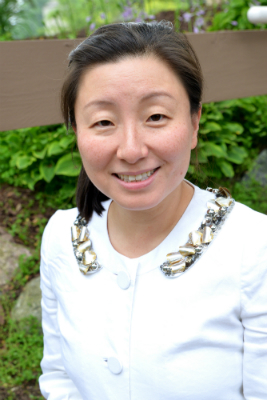 Contributed by Dr. SooMi Lee-Samuel, MD, MA. The men and women who serve in the United States military are among the most selfless and brave individuals in our society. Even with these exceptional qualities, this does not make military personnel exempt from the struggle that comes with substance abuse and addiction. The reality is that substance abuse results from the combination of many complex factors that are often out of a person’s control, such as their genetic makeup and neurobiology. Other contributing components include environmental circumstance, such as exposure to drugs at an early age, the experience of traumatic or stressful situations, and more. These, in combination with the unique culture of the military, may create the perfect storm for U.S. servicemembers with a predisposition to substance abuse and addiction. According to the National Institute on Drug Abuse, the most common substances abused among servicemembers include prescription medications, alcohol and cigarettes, with incidences of abuse being higher among military servicemen and women when compared to civilians . Pain-relieving prescriptions in particular tend to be more highly abused among military servicemembers, and this likely coincides with an increase in prescription medications given for physical complications resulting from the nature of this job. 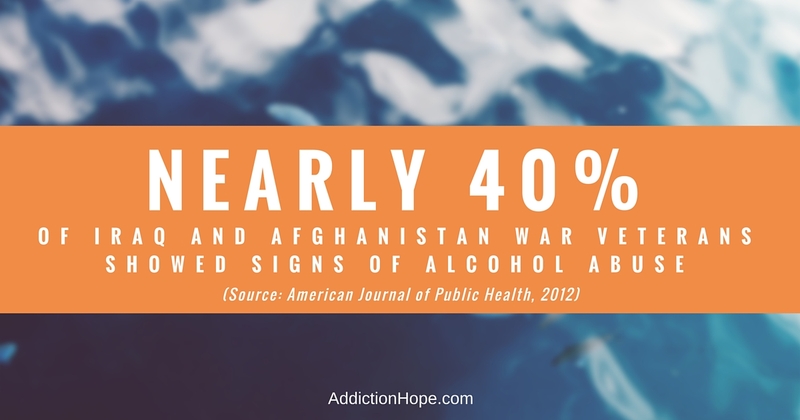 Alcohol and cigarette use is also considerably higher among military members, especially among those who have been directly involved with combat experience. 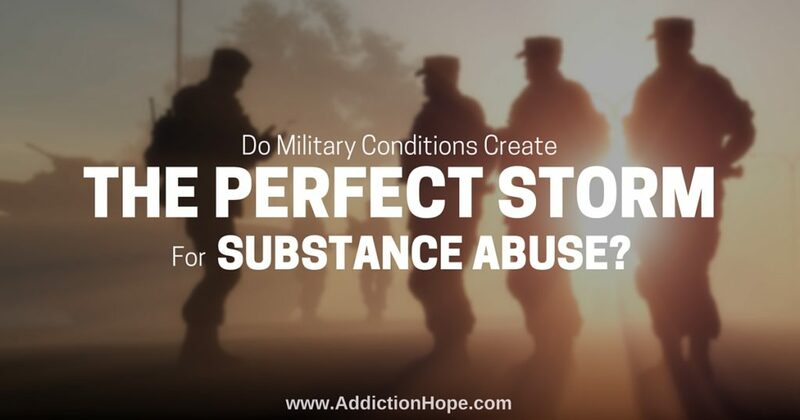 For any military member who might be dealing with substance abuse, this issue can quickly become problematic, interfering with health, work, personal life, relationships, finances and more. Fear of losing their job. While several branches of the military have actively taken steps towards the prevention, identification and treatment of substance abuse among soldiers, connecting to appropriate resources while in the military can feel difficult. Every military branch has available resources for connecting servicemembers with appropriate treatment interventions for substance abuse as needed. Typically, a military health care professional can provide a referral for an assessment when substance abuse is suspected. A professional assessment can help determine the appropriate level of care and treatment that might be needed for a servicemember, and it can evaluate the severity of one’s substance abuse disorder. Recommendations for treatment can then be provided, particularly if treatment can be adequately administered in military facilities. Military members often endure the most excruciating circumstances in the name of freedom, and many may suffer in silence when battling substance abuse disorder. Connecting to the treatment and prevention programs offered through each respective military branch can help promote the servicemember’s journey towards healing, recovery and ultimate freedom.